I am excited to let you know that my Squared cohort is doing a Hangouts on Air this Tuesday (tomorrow)! 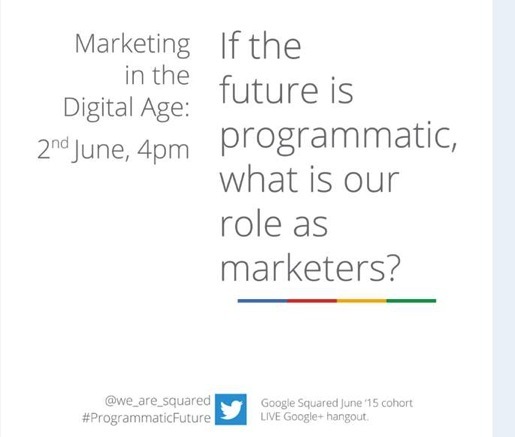 If the future is programmatic, what is our role as marketers? Follow us @we_are_squared for the latest speaker updates and news.